Who are they? Seasoned southern rockers always keen to do things their own way. Sounds like: Notorious blues-tinged rockers delivering album after album of spaced-out jam classics. Why should you check them out? Because they won't be around for much longer. The Crowes have just released two-disc acoustic anthology Croweology and after a US tour will be putting themselves on hiatus, which you can read more about in our interview with drummer Steve Gorman. Croweology is a perfect introduction to the band for newbies, with stripped-down renditions of familiar favourites filling the double-disc set. But, for those keen to get a real insight into Gorman and the Crowes, you'll have to dig back into their wealth of seminal albums - Shake Your Money Maker and By Your Side are particular Rhythm favourites. 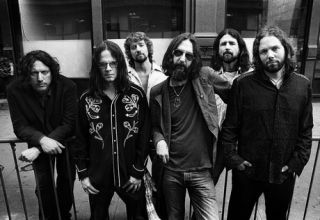 For more from the Black Crowes, pick up the September issue of Rhythm, on sale 31 August.